Lathe cut gaskets can be made out of any polymer group and are offer distinct cost savings for custom sizes, since there is little to no tooling required in the lathe cut process. Whether you need the gasket itself to be a little thicker or you need the sealing surface to be a bit wider, both are quick and easy fixes. Lathe cut manufacturers can extrude sizes from .250” to 7.75”, whereas O-Ring and gasket manufacturers using a molded process, only typically have molds for standard sizes, such as .500” to 3.00” ID. When a larger ID is required, they most likely would have to develop a mold, which can be very costly. One major advantage of lathe cut gaskets in comparison to molded or die cut gaskets is that lathe cut gaskets require little to no tooling and therefore, have a quicker turn around. Molded gaskets take longer to develop when a custom mold is required. Unlike in the lathe cut development process where tweaks can easily be made, if a mold’s specifications are off even slightly, the mold must be scrapped and you’re back to square one. The die cut gasket process also comes with its own complications. The design process for die cut gaskets is based off the thickness of the sheet of material. Special custom thicknesses can be costly depending on the size and tolerance you require. Tooling cost for die , while cheaper than molded gaskets, take significant time to develop. Lathe cut manufacturers can extrude sizes from .250” to 7.75” with little or no tooling cost. Our lathe cut customers love that the turnover ratio our lathe cut gaskets is typically 2-3 weeks! Whether your lathe cut gasket is used for outdoor applications, dynamic applications, food grade applications, or something else, our team has recommendations for the best materials for your unique needs. Lathe cut gaskets are the optimal choice for static applications, meaning applications including immovable parts. It’s rectangular or square cross section offers a larger sealing surface. It also provides increased resistance to compression when compared to O-rings. Lathe cut gaskets are ideal when beveled edge gaskets or tight tolerance gaskets are required. Also, the lathe cutting process is optimal when large outside dimension (OD) gaskets or small ID gaskets are necessary because of availability and cost. Check out our blog How to Choose Lathe Cut Gasket Materials for Various Applications for information about the best lathe cut gasket materials for your application. A lathe cut gasket’s rectangular or square cross section offers a larger sealing surface compared to that of an O-Ring. A lathe cut gasket with a wider sealing surface can also provide better resistance and longer-lasting performance over an O-Ring. Lathe cut gaskets are also more advantageous in static applications. For example, if you were to get an O-Ring and a lathe cut gasket next to each other and apply equal pressure to both, over time you will notice the lathe cut gasket surface will relatively remain the same while the O-Ring would be flattened. Over time, the O-Ring begins to lose its shape and size, due to the amount of pressure it receives, flattening out its sealing surface. This is one reason why O-Rings are more advantageous in dynamic applications; when there is movement between two parts. At Grand River Rubber, everything we supply is custom made to conform to established requirements and understood expectations. Our customers approve production designs and processes before, during, and after manufacture. 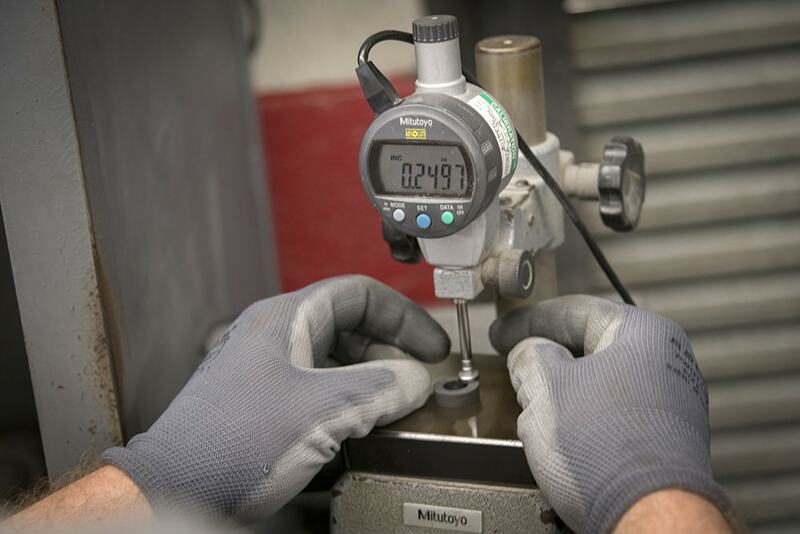 We can use a Production Part Approval Process (PPAP) to communicate at each of these critical steps as we manufacture to your exact specifications. And, our lot-control system insures full traceability from raw materials to final inspection. Through continuous quality improvement we are able to respond with innovative refinements to produce superior products. To conclude, lathe cut gaskets are a less expensive option in comparison to O-rings or other squeeze type molded seals and are utilized in virtually every industry. As you can see, the advantages of using the lathe cut process over other processes cuts out time and money, while enhancing satisfaction over time. The time to switch to lathe cut is now and Grand River Rubber and Plastics is eager to assist you. To learn more about the lathe cut process and other products contact Grand River Rubber and Plastics to get started!